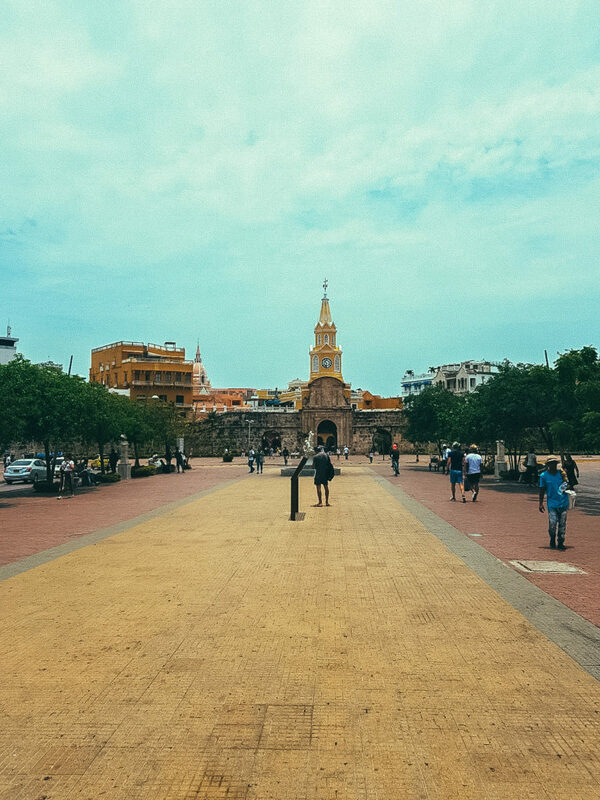 Cartagena; it’s the most beautiful town of Colombia. This port city is home to a preserved colonial old town with beautiful beaches and the eternal sun. I chose to visit this city over Bogota and I am so glad I did. 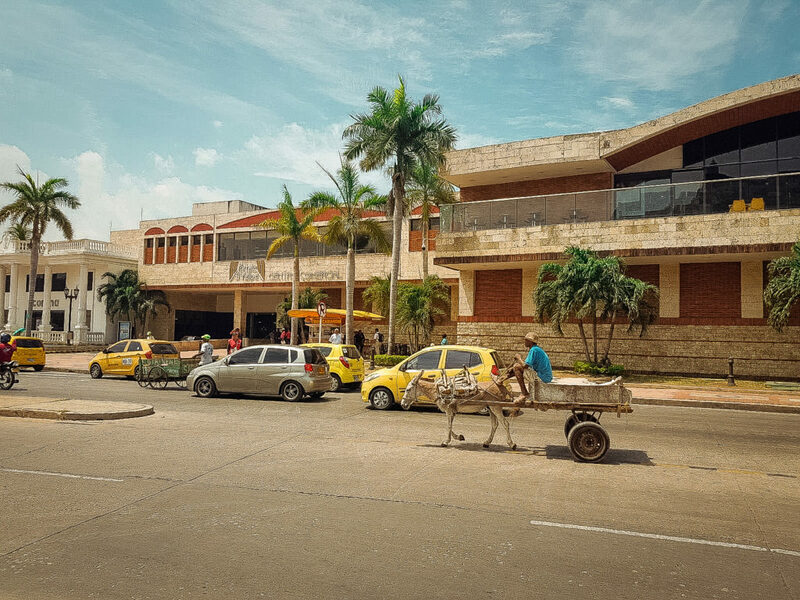 Flights to Cartagena take two hours from Miami, so very quickly you can find yourself in a Caribbean city in South America. 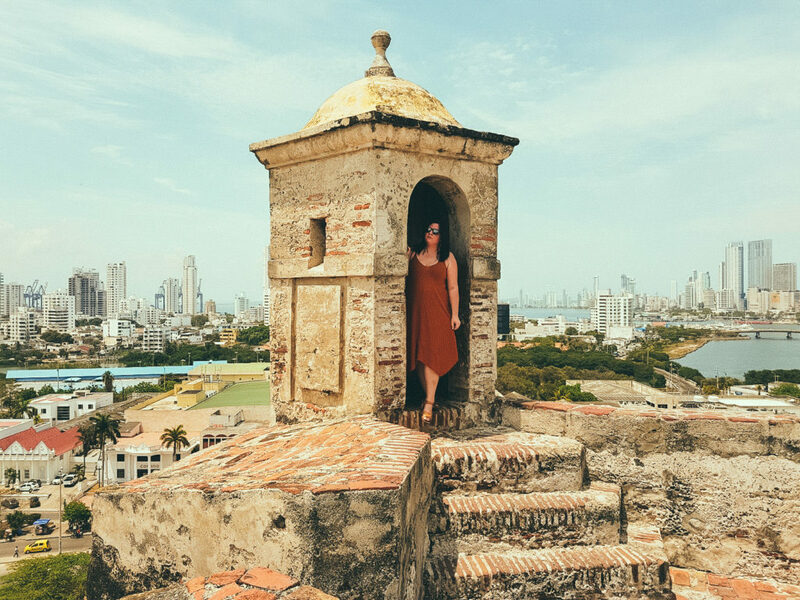 Here’s my ultimate guide to stunning Cartagena. This beautiful city is located on the Caribbean coast and has nice weather all year round, so pack plenty of shorts, swimsuits and flip flops. The hottest, most crowded and most expensive months to visit Cartagena are from June to September. I visited at the end of April and it was already extremely hot! Find more ideas for places to visit in South America here. 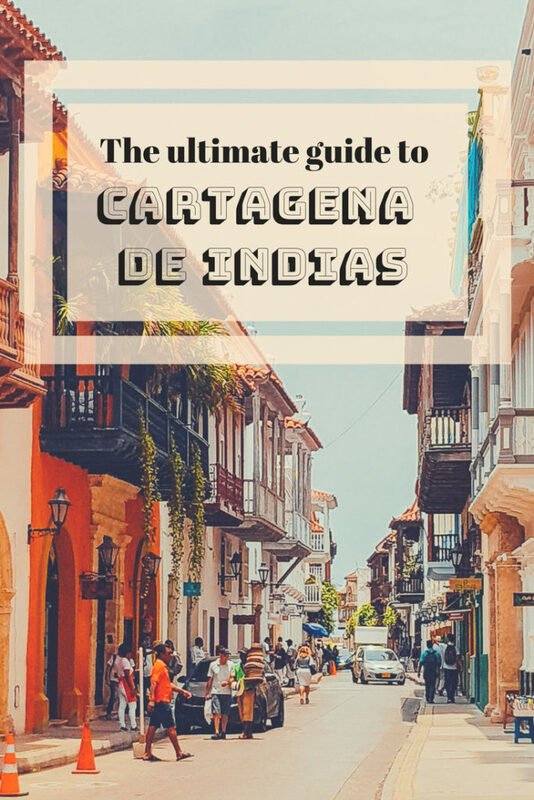 Cartagena is a big city but as tourists, you don’t need to explore it all. There is no point travelling to the downtown parts of the city, which tend to be poor and dangerous areas. Depending on where you are staying, most attractions are within walking distance. But, for those further afield, taxis and Uber are available and the prices are pretty good. 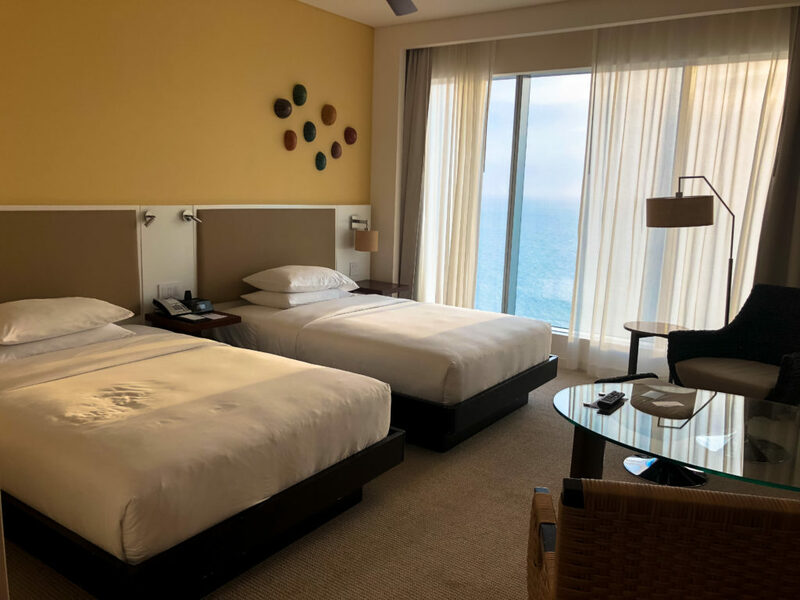 There are really two different places to stay in Cartagena, which will suit different types of travellers. This is a modern area with a Miami beach vibe. It’s here that you’ll find luxury hotels like the Marriott, Hilton or Hyatt, perched right beside the beach. If you want to fill your days with cocktails by the pool, luxurious bedrooms and Instagram-worthy views, this is the place for you. Venture into the Old Town and you’ll find a few smaller hotels and hostels. 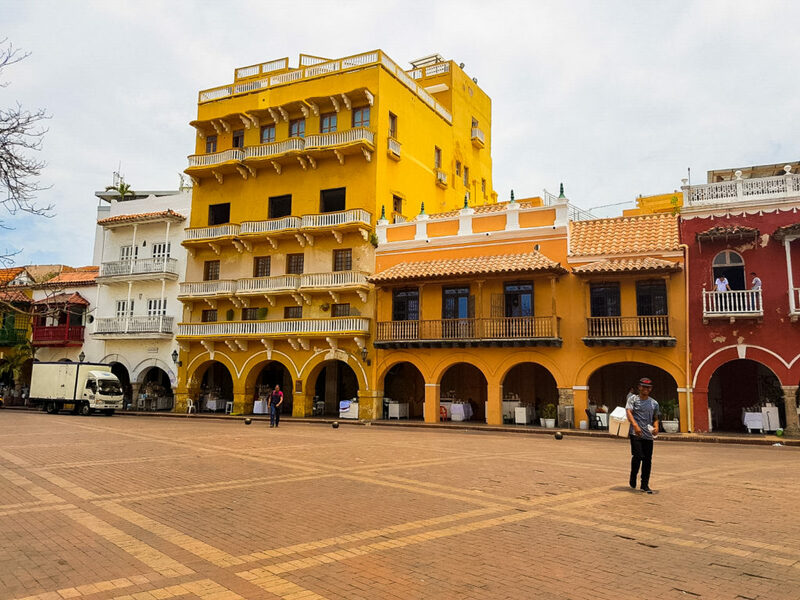 But the best way to stay in the Old Town is to rent one of the stylish, colonial homes where you can feel the real atmosphere of the city, while being in the centre of what’s going on. Take in the majestic sight of this powerful fortress, full of tunnels and traps that historically made the city unbeatable. Behind it you can find Monumento a los Zapatos Viejos, which honours old shoes. Step inside the Old Town, which is protected by a fortress built to defend against pirates and storms. 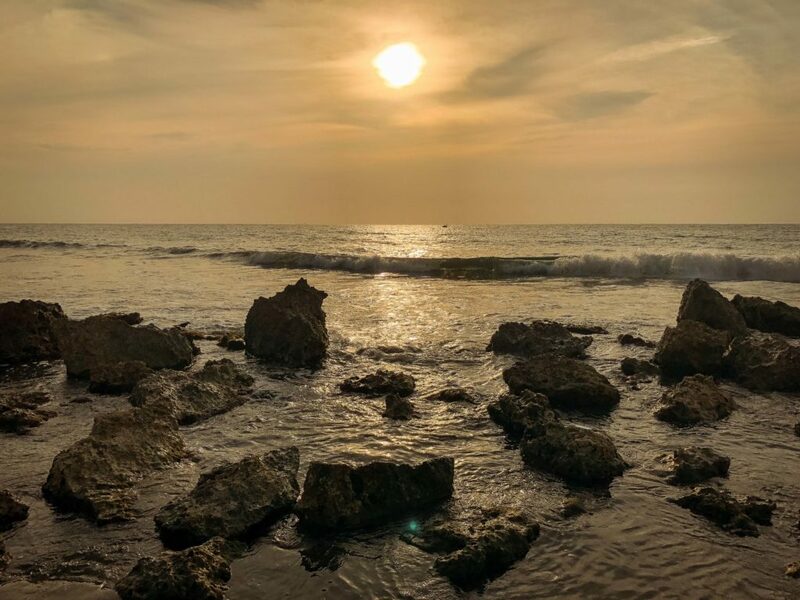 Today, Cartagena’s Walled City has become a popular tourist attraction, known for its searing sunsets. This is a beautiful church built between 1580 and 1654, great if you like to visit historical attractions on holiday. This is the square where the city’s administration buildings stand. There’s a big statue of Christopher Columbus in the middle. 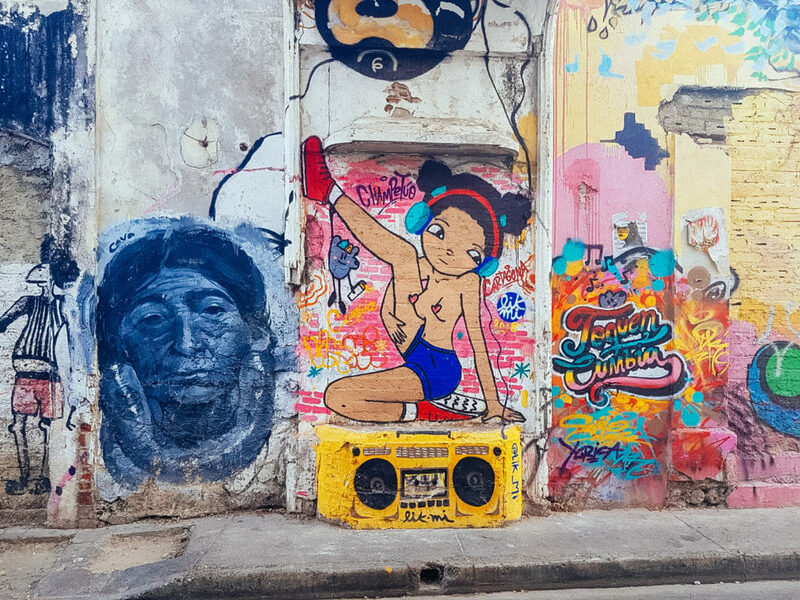 If you want to experience Colombian nightlife, head to this colourful area inside the walls. 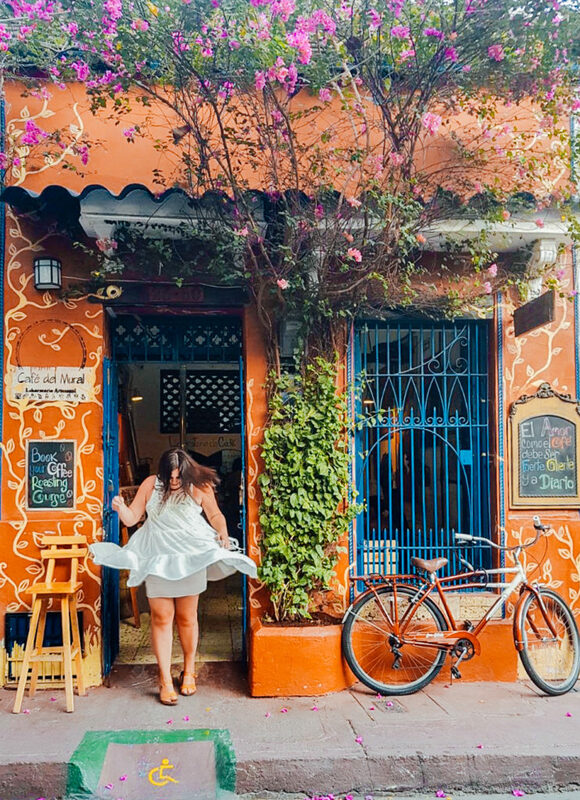 It’s a regular haunt for Cartagena’s younger population, with more restaurants, bars and nightclubs than you could visit in a week. This beach is lapped by turquoise waters, which make it well worth the two-hour drive from the city. Fancy taking a short cut? Jump on a boat and you’ll reach this sandy paradise in only 45 minutes. If you’ve got time to spare, book a trip to Tayrona National Park near Santa Marta. Rainforest and stunning beaches await. Arrive at this charming archipelago of small islands and you’ll immediately feel the Caribbean climate. It’s just a short sail by boat from Cartagena. I have to admit that before booking my flight to Colombia, I was a little scared. We’ve all heard the horror stories and watching the first episode of Narcos, when a shooting happens over dinner in a nice restaurant, only made it worse. 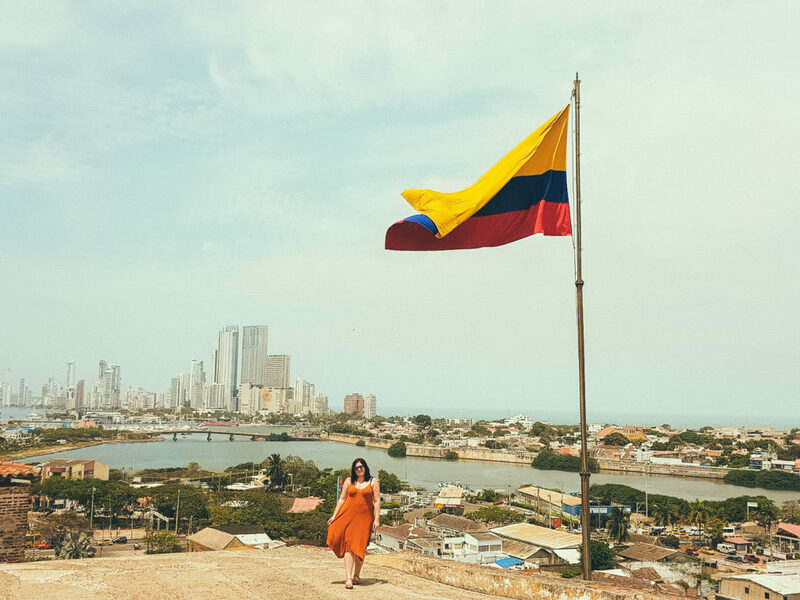 But, in reality, Colombia is definitely getting better and I would say Cartagena is safe even for solo travellers. You have to watch out for pickpockets and, just like in Brazil, it’s best to keep any expensive items out of sight. Limit your exploration to the Old Town, as the rest of the city is dirty, poor and unsafe. 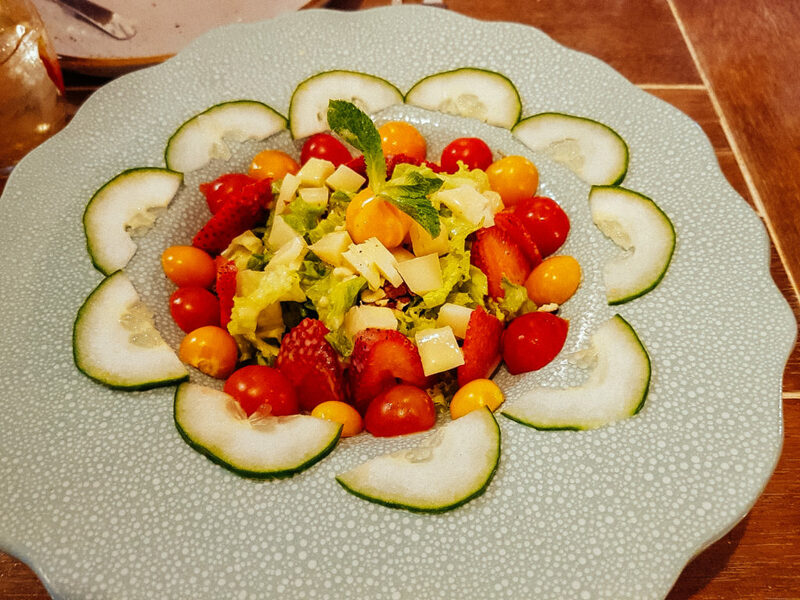 This is a combination of raw and cooked seafood, doused in lemon and lime and garnished with herbs and other spices. I don’t normally eat raw fish or any other seafood, but the tuna I ordered was one of the best things I’ve ever eaten. Tuck into one of these fried pastries that ooze with meat or cheese. You’ll find them being sold at stalls on street corners. I didn’t personally try anything too unusual, but you will see lots of stands with all kinds of intriguing-looking fruits to taste. This is technically Spanish food, but it was still amazingly delicious in Cartagena, so it made it onto my list. This is reported to be the best thing you can eat in Cartagena! The currency in Cartagena is the Colombian Peso. They start from 1,000, so make sure you pay attention to your cash. Some of the coins look very similar and are easy to mix up. It was easier to communicate in Cartagena than Rio de Janeiro, but the majority of people only speak Spanish. Luckily, with the help of a phrase book, most people can manage a few words. While you’re travelling in South America, why not plan a dual-centre holiday and visit Brazil too? Here are 13 of the best things to do in Rio de Janeiro – have fun! I am surprised that the most expensive months to visit are from June – September, that is usually off season for the Caribbean. The colonial Spanish architecture and influence around the city is lovely. It looks like a nice blend of Caribbean/South American cuisine in Colombia, I definitely need to go visit and see for myself! The colonial homes in the Old Town sound lovely and that photo (which I assume is one of them) looks so colourful and vibrant. Colombia is one place that is definitely on my list, I hope to make it there sometime soon. Thanks for your tips, very helpful. I assume you’re a raw fish convert now??? Cartagena comes across as a colourful city with a unique vintage charm. The colonial heritage is evident in the pictures of the heritage houses. I really liked the look of some of the houses in the old town, they are so bright and colourful. Your guide is packed with so much useful information that it is a boon to first time travelers there. 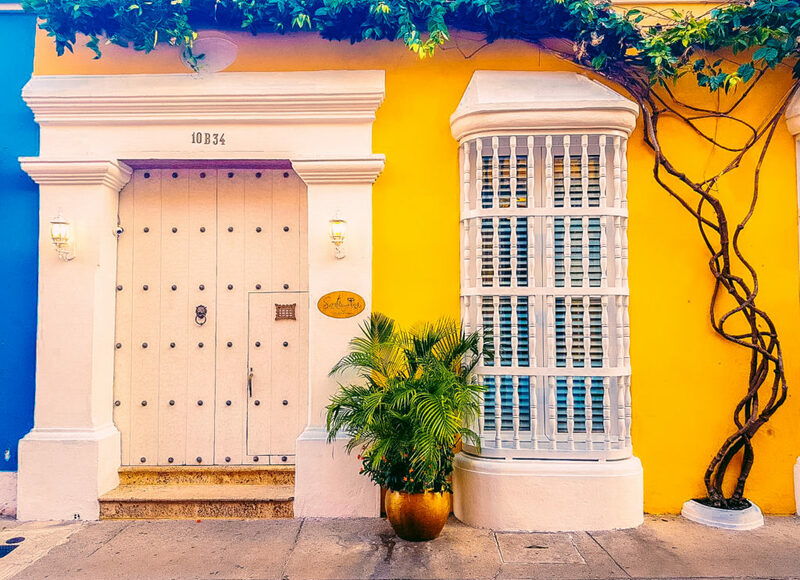 The pictures too are lovely and capture the spirit of Cartagena. 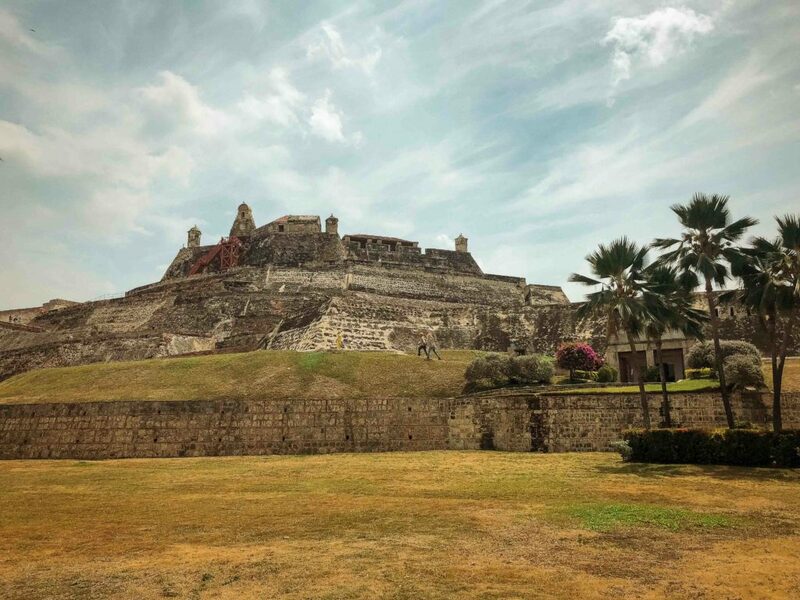 Wow – your post brought back memories when I went to Cartagena last year. However, when I went, the temperature was on the super humid side that it was almost unbearable to walk around during the day time! But I’m glad you had fun – your pictures look stunning! I’ve read so many good things about Cartagena and it keeps getting better. I appreciate your honesty about not venturing downtown. I think it’s great that things have greatly moved on since Narcos days (!) but it’s still important to stay safe. I love those old colonial houses, I’d definitely stay there! 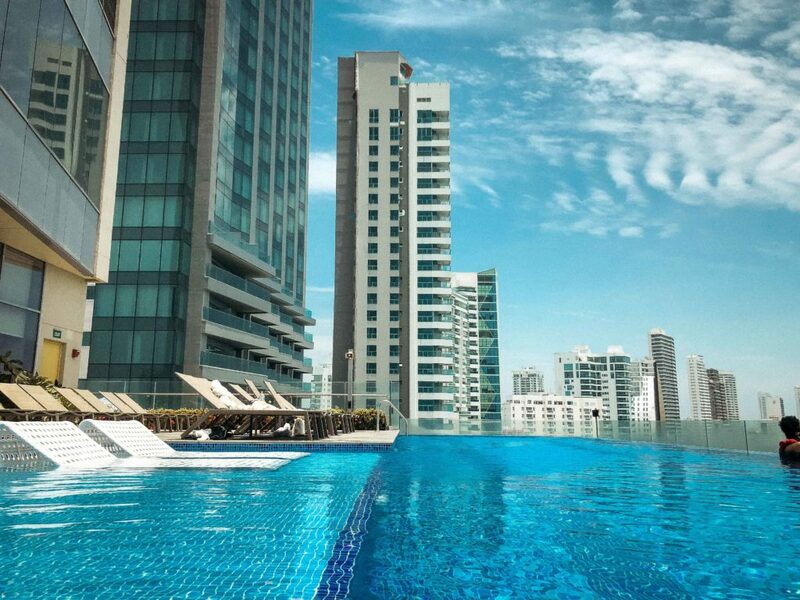 I keep reading so many great things about Cartagena and Colombia recently, I really must go. That red snapper with coconut fish looks delicious. Thanks for all the tips! Cartagena looks like an absolutely stunning town! I love the vintage, colonial architecture and the palm trees! I hope to visit South America soon so I’ll definitely be adding this to my ever-growing list of places to visit.